George H.W. Bush died at age 94 on Friday, Nov. 30. 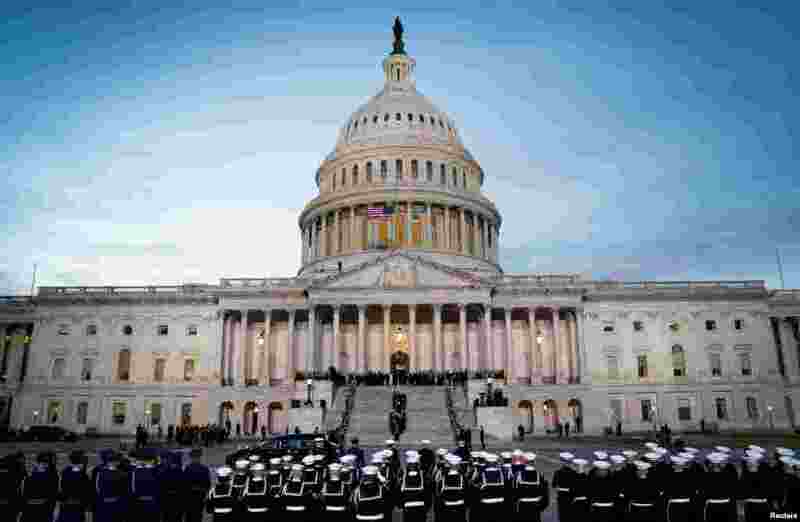 The 41st U.S. president, who served a single term in the White House from 1989 to 1993, will receive a state funeral Wednesday at the National Cathedral in Washington. Bush's burial is Thursday at his presidential library in Texas. 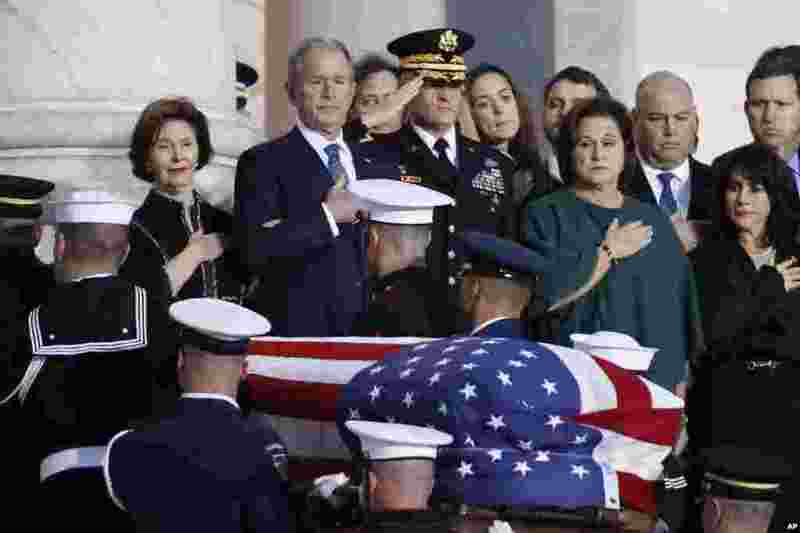 1 The casket bearing the remains of former U.S. President George H.W. Bush arrives at the U.S. Capitol during the State Funeral in Washington, D.C., Dec. 3, 2018. 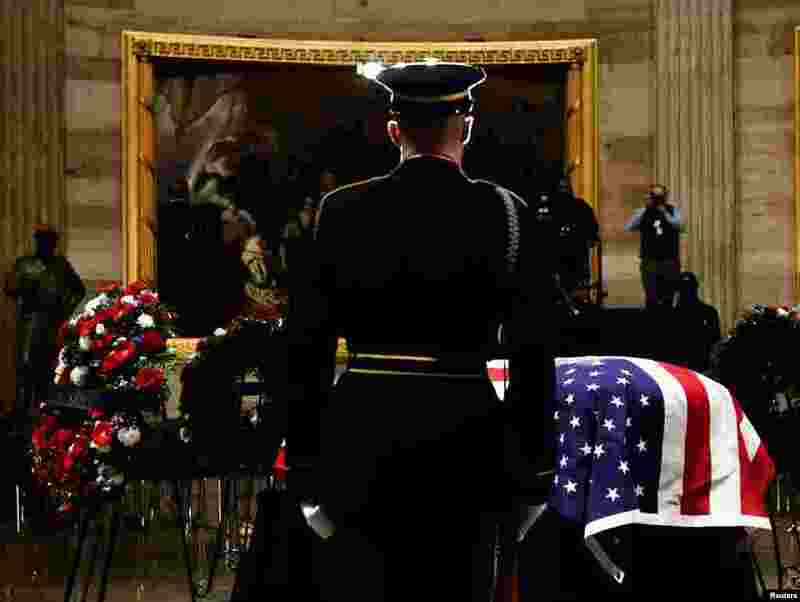 2 A military honor guard carries the casket of former President George H. W. Bush into the Capitol, Dec. 3, 2018 in Washington. 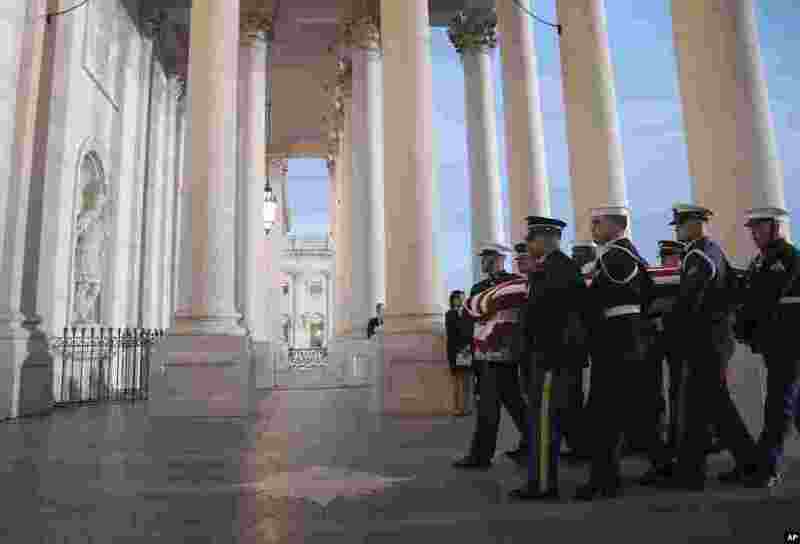 4 The casket carrying former president George Herbert Walker Bush is carried up the steps of the U.S. Capitol in Washington, Dec. 3, 2018.